DAMASCUS, 20 July 2016 – “This week in Syria, more than 20 children were reportedly killed in air strikes in Manbij and a 12-year-old boy was brutally murdered on-camera in Aleppo. 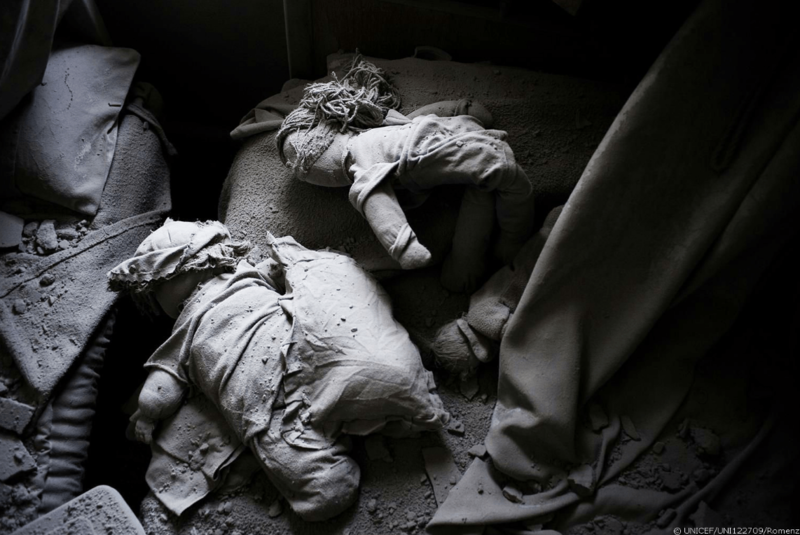 “Such horrific incidents confront parties to this conflict with their shared responsibility to respect international humanitarian laws that protect children in war. “According to UN partners on the ground, families in the village of al-Tukhar near Manbij, 80 kilometres to the east of Aleppo, were preparing to flee the village when the air strikes hit. “UNICEF estimates that 35,000 children are trapped in and around Manbij with nowhere safe to go. In the past six weeks, and as violence has intensified, over 2,300 people were reportedly killed in the area, among them dozens of children. “We deplore all forms of violence and urge all parties to the conflict in Syria to make every effort to avoid the loss of civilian lives.